In this python notebook exemple we will see with 2 real examples how to reduce a model from one of your sofa scene thanks to the Model Order Reduction plugin done by the INRIA research team Defrost. 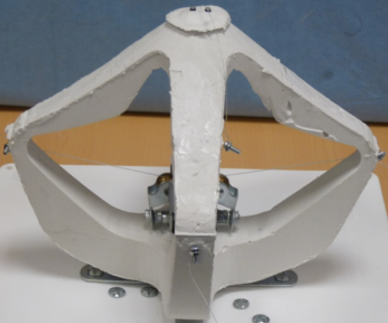 A cable-driven silicone robot (paper link : C. Duriez, ICRA, 2013). 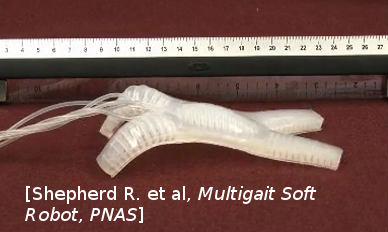 A pneumatic Soft Robot (paper link : Multigait soft Robot R.F. Shepherd et al, PNAS, 2011). Contain a list of object from the class ObjToAnimate. A ObjToAnimate will define an object to “animate” during the shaking. tolerance used in the greedy algorithm selecting the reduced integration domain(RID). Values are between 0 and 0.1 . High values will lead to RIDs with very few elements, while values approaching 0 will lead to large RIDs. Typically set to 0.05.